Home > How can you measure the value of a webpage? > How is MozRank different from MozTrust? How is MozRank different from MozTrust? The MozRank and MozTrust metrics can be confusing. They both measure a web page (or entire website) based upon links, using an exponential 0-10 scale. The difference is based upon the aspect of links, each measures. 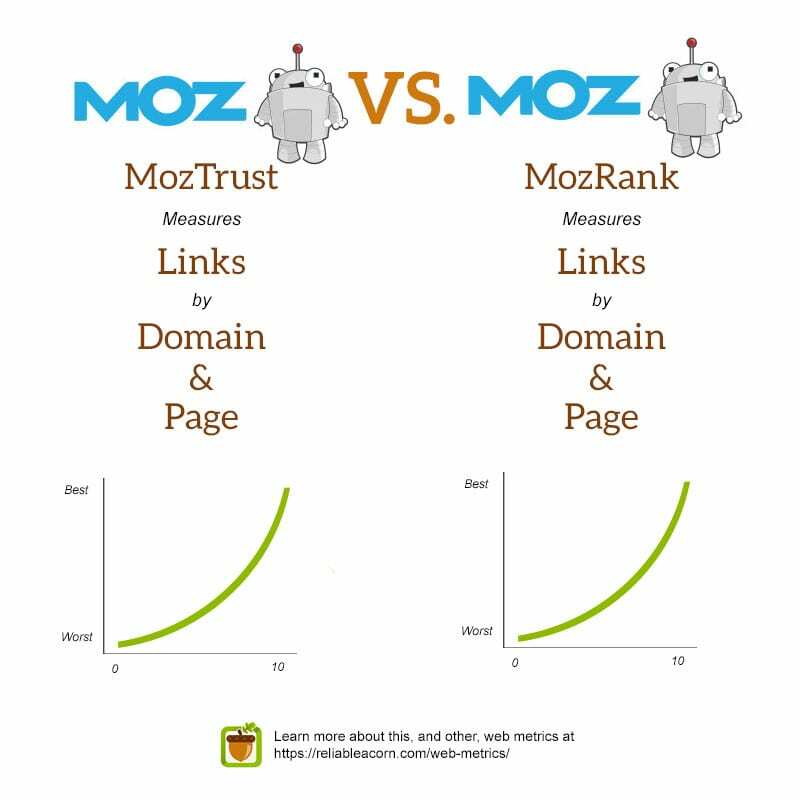 Where MozRank takes into account the quantity and quality of these links. MozTrust considers the distance a page (or website) has from the most trusted websites on the internet. In that way, MozTrust is similar to Majestic’s Trust Flow.